How can you follow a meal like the persian chicken with jeweled rice with ramen? You cannot. So dinner two days later consisted of another very flavorful recipe, and wasn't really any more complicated to prepare. 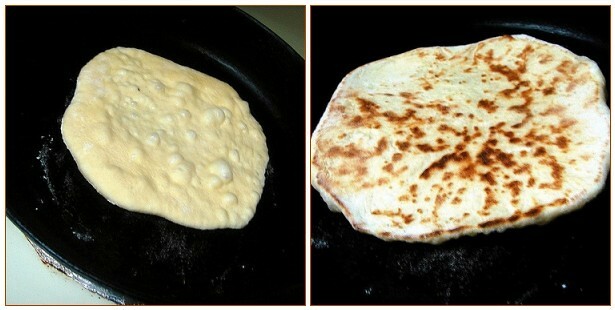 I've made homemade naan before, but haven't blogged about it. I still plan on created a single post showing the process, though for now I'll just talk about how great this stuff is. The recipe (found on AllRecipes.com - I will link to it at the end of post) is enriched with milk, an egg, and sugar and comes together quickly and allowed to rise for an hour. I've changed the process up by making the dough a day ahead of time and refrigerating it, though you have to make sure the dough comes to room temperature either before shaping into individual balls to let rest, or increase the resting time. The best way to cook naan is to either have someone in charge of cooking them whilst you stretch the dough out, or get the process down so that as soon as a naan comes out of the skillet you're ready to put one in. Place cooked naan in a heated oven, covered, to keep warm. 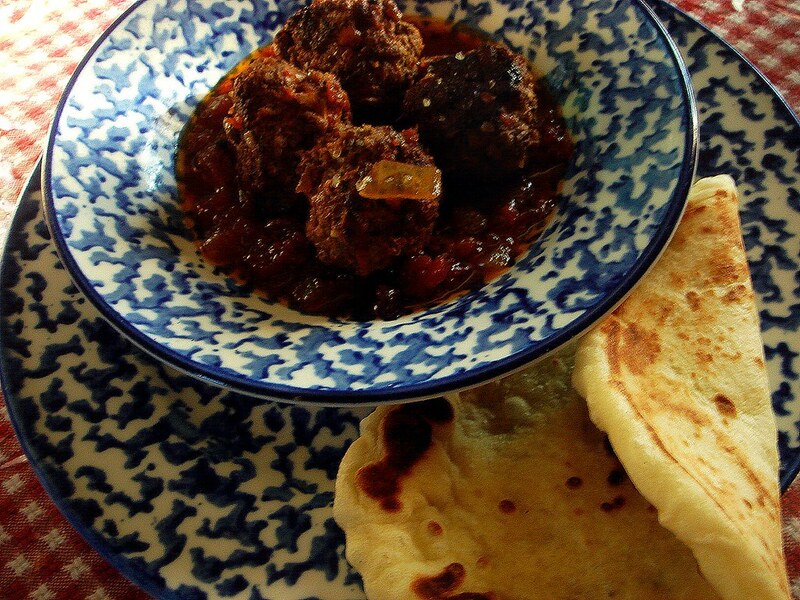 Keftka is a Middle Eastern lamb meatball, though I subbed ground beef for the lamb. The ingredients from the recipe I used sounded incredibly good, with a spice trio of allspice, cinnamon, and cayenne powder. Also included is finely ground nuts (I used pecan, though the recipe called for pine nuts), and a processed mixture of onions with fresh cilantro and parsley. 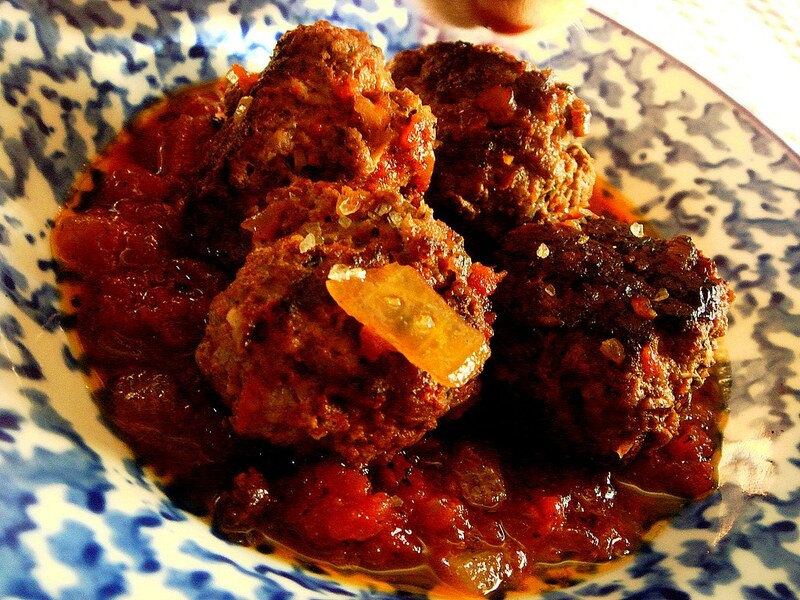 A different kind of meatball compared to its Italian counterpart, but every bit as delicious and definitely unique. 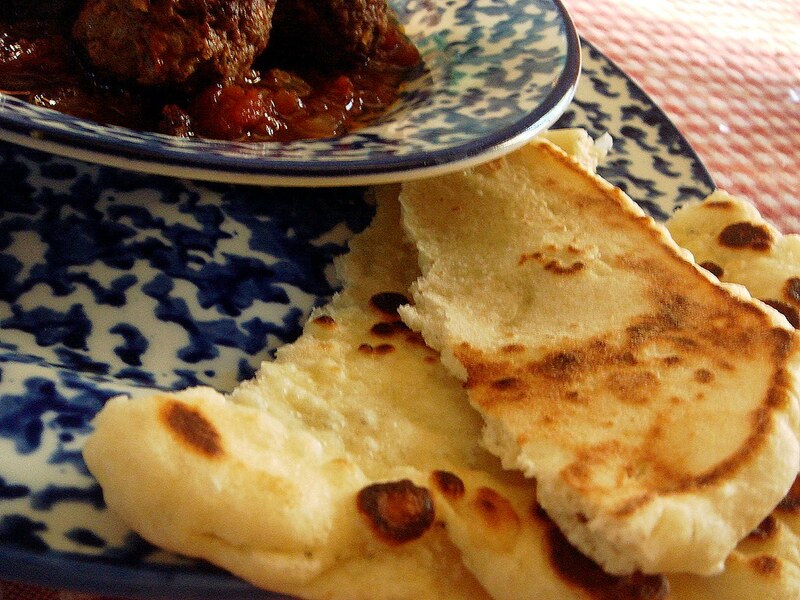 The naan comes out so chewy, warm, slightly sweet with a hint of garlic. It's very difficult to just eat one, so I don't; I ate three. I once made a different version that was leavened by baking soda and yogurt, though I didn't like it as much as this yeast version. It lacked the sweetness I liked and it also wasn't as tender. It would have made a good substitute if you're pressed for time, once I tweak the recipe. You're right, nothing short of this fantastic meal could have followed the persian chicken with jeweled rice. God I love Middle Eastern/Indian food. THe naan sounds absolutely delicious! Perfect! This looks fantastic. I'm definitely going to try the naan ASAP. Christina, the naan looks incredible! I love naan but have never tried baking it myself. I like this Persian food you have been making. Do you make much Asian food? I've been trying to get into that more. Okay, have a good day!